Electrolux is a Swedish company founded in 1919. They first became famous for their vacuums, but have actually been manufacturing appliances since the early days, producing their first refrigerator in 1925. In the past two decades, US consumers have come to know and love their kitchen and laundry products as a result of their high quality, beautiful styling and constant innovation. If you're in the market for Electrolux appliances, you want to get the best deal possible and take advantage of any promotions or rebates. Electrolux rebates can be a great way to save! While rebates aren't always available, there are more opportunities than you may think. We keep a running list of current offers and have compiled them here just for you. Electrolux may not be as familiar a brand to some as, for example, Whirlpool or KitchenAid, but this Swedish company has made their mark in the appliance market as the second-largest appliance maker in the world (based on units sold). They created the first true household vacuum cleaner in 1912 and have been making innovative, reliable products ever since. They have owned well-known brand Frigidaire since 1986. Induction cooking is a unique trend, and induction ranges and cooktops aren't always easy to find. 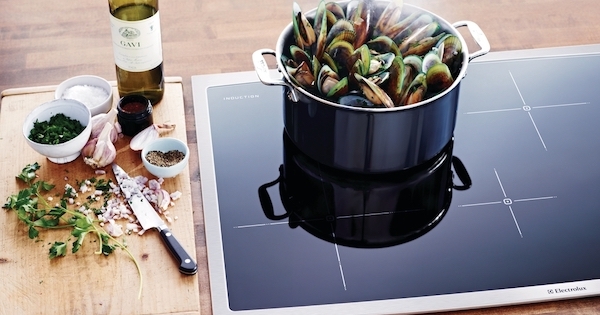 In this article we'll go over the Electrolux induction range and the two Electrolux induction cooktop models available to help you explore your options. If you are looking for a new front load washer, you have to look seriously at the Electrolux brand. The Electrolux name is known for excellence and quality and their laundry equipment is no exception. Electrolux introduced a new line of front load washers in 2018. They are super efficient and offer above-average cleaning performance and fabric care. Their washers offer reliability, smooth and quiet operation, and cycles as short as 15 minutes. Electrolux makes four models of full size washers starting at only $779. In this article featuring four thorough Electrolux front load washer reviews, we'll see what they have to offer. Don't overlook Electrolux when you are doing your research on new washers.